The 2011 Infiniti M56 and the Lexus GS460 share a market segment, but little else. When two vehicles operate under drastically differing ideologies, head-to-head comparisons become much clearer. Such is the case with the 2011 Infiniti M56 and Lexus’ GS 460, two vehicles that find themselves in the same class, but from startlingly different schools. The most recent iteration of the Lexus GS 460, while certainly an exceptional sedan, offers much of the same style and substance as the rest of its class. Its smooth lines and classic design fit quite comfortably amongst the Mercedes-Benz’ and BMWs of the segment. Infiniti’s offering, on the other hand, suggests a dramatically different driving philosophy; one of modernism and artistry, of new-school athleticism and craftsmanship compared to classic, old-school design. Where the Lexus skews conservative, the Infiniti bleeds bold, and while the two vehicles share many of the same features (standard 18-inch aluminum wheels, power sunroofs, heated side mirrors and available rear spoilers – though the Infiniti features standard rain-sensing wipers and greater trunk space), their lines and profiles, faces and fenders, could never be confused. Beneath the hood, Infiniti’s aggressive ideology grows even more apparent. Where Lexus’ latest receives a powerful 4.6-liter V8 engine, the M56 ups the ante and the displacement with an incredible 5.6-liter eight-cylinder of its own. And while the GS tops out at 342 hp and 339 lb/ft of torque, Infiniti’s offering delivers a staggering 420 hp and 417 lb/ft of torque through a standard seven-speed automatic transmission. Despite the additional 78 horses, the M56 also bests the GS in fuel efficiency, 25 highway mpg to 24. When it comes to steering, both vehicles are well balanced and finely tuned to maximize handling precision and limit body roll through tight turns. A pair of advanced suspension systems, adaptive in the Lexus and optionally sport-tuned in the Infiniti, deliver tight cornering and brilliant responsiveness. The latest M56, however, features Infiniti’s available Intelligent All-Wheel Drive system, which capably delivers up to 50 percent of the vehicle’s engine power to the front wheels for unparalleled, immediate traction when needed. All-Wheel Drive is unavailable on the Lexus. Inside, both sedans capably live up to their luxury designations, but in remarkably different fashions. The Lexus, as expected, features an attractive, comfortable cabin steeped in classic elegance and luxurious appointments. The Infiniti, though it features more front leg, shoulder and headspace than the GS, still manages to deliver a more modern and intimate, driver-oriented cockpit while still maintaining the strong sense of luxury and craftsmanship the class demands. The M56 also features a number of unique design features like Active Noise Control and beautifully sequenced exterior and interior lighting. And while both vehicles offer standard modern amenities like heated leather bucket seats, premium audio systems with satellite radio, Bluetooth connectivity, advanced climate control, a trip computer and elegant woodgrain trim, the Infiniti bests the Lexus by delivering a standard hard drive navigation system (optional on the Lexus) and standard cooled front seats (unavailable on the GS). The M56 also adds the advanced safety of distance control (while using cruise control), an intelligent brake assist feature and the world’s first Blind Spot Intervention system, which not only alerts you to vehicles in your blind spot, but can actively assist you back to your lane should you drift toward them. The newest Lexus (MSRP $54,470) edges the 2011 Infiniti ($57,550) by a slight margin – a margin that grows even slimmer when the vehicles are comparable equipped. Infiniti makes up the difference by offering a longer, more comprehensive warranty. When you pit luxury sedans against each other, even if you lose, you win. But when you win, you win big. 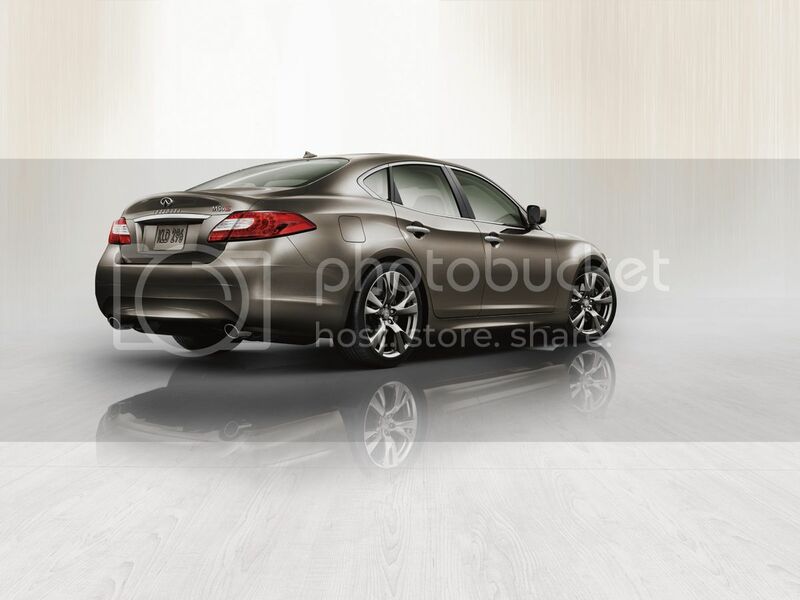 Discuss this article, and other Infiniti M-Series cars, in the Infiniti M37 / Infiniti M56 forums!